Description: Goofy, Bally, 08/32, standard 30s playfield but with side alley lane casting for interesting shots. 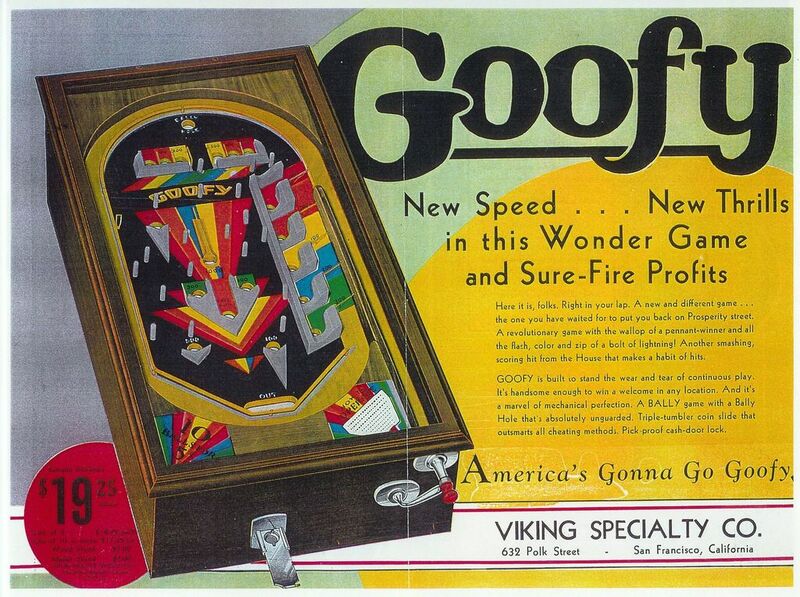 Designed by New York deisgner Jack Firestone, Goofy was copied by other makers (and Bally persued legal action to stop this.) Fully mechanical pinball.